A huge project that was incredible to work on, a six storey immersive theatre show with over thirty hours of audio across ninety rooms. The audience walk freely around the set engaging with a truly remarkable piece of work. Sleep No More began in London and has since been a success in Boston and New York, it will be it’s biggest incarnation yet in Shanghai, where I was based for the later half of 2016. - Creating audio content for the show which varies from musical composition to abstract soundscape. - Working with the existing audio and reworking it for the new space. - Consulting with the Yamaha installation team. - Consulting on all aspects of sound in the show. - Using Qlab to distribute audio and cue up sound in the correct sound zones. - Working with surround sound, including an 8 channel setup in one of the spaces. - Communicating with all departments to ensure we meet deadlines for sneak previews, previews and eventually the grand opening. 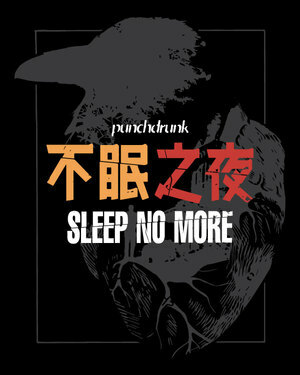 http://www.sleepnomore.cn https://www.punchdrunk.com/sleep-no-more The show has already generated attention across China and worldwide, the first three-month batch of tickets sold out in 4 days. It has had coverage on the national news as well as being backed by the British Arts Council.